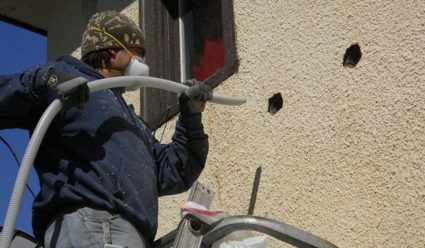 Insulation Applications - MGT Insulation, Inc.
Air leaks and poor insulation can occur in many different areas of your home or business, from your attic to your basement and everywhere in between. At MGT Insulation, we utilize state-of-the-art infrared testing and blower door testing to identify insulation problems wherever they occur in your home or business. Then, we work with you to create an insulation and ventilation solution that works! We are proud to specialize in attic insulation removal and replacement that will increase your energy efficiency, comfort, and indoor air quality. Learn more. Our comprehensive sidewall insulation process not only ensures that your walls are properly insulated, but that they look great too. Learn more. At MGT Insulation, we ensure that all accessible cracks and seams around your rim joists are well-sealed before insulating with one of our high-end products, ensuring comfort throughout your space. Learn more. If your crawl space is poorly insulated, it can cause significant heat and home energy loss. MGT Insulation can help you keep your crawl space dry, energy efficient, and structurally sound. Learn more. Maximize the comfort and efficiency of your entire home or building! MGT Insulation has the skills and experience to stop air and water leakage and install high-quality insulation products in your basement. Learn more. Are there other areas in your home or business space that seem to be draining energy or letting in cold winter air? We can help with that too! At MGT Insulation, we’ve been solving unique energy problems for more than 35 years, and our crews are often called in on unusual insulating situations that other contractors have never seen. With MGT Insulation, you can be confident that we can handle your insulation needs, regardless of how complex they might be!